Snowboarding? At a festival? In Southern California? Air & Style, a global Big Air snowboarding completion/music event, is a far cry from the conventional festival. Initially set in Innsbruck, Austria, then moving to Beijing, China, the three–stop snowboarding competition turned music festival made its way to LA in 2015 with the help of Olympic gold medalist, Shaun White. On February 18-19th, Air & Style LA brought together world-class athletes and some of the biggest names in the music industry right to Exposition Park near USC. Envisioned by White as a festival that “could attract all the best snowboarders, to be a part of something great”, it’s safe to say that Air & Style LA 2017 fulfilled this goal. With it being my first time at Air & Style, I had little to no idea what to expect from the snowboarding aspect of the festival. The idea of a 16-story Big Air ramp in the middle of South Central seemed ludicrous to me. However, with below average temperatures and a slight drizzle to set the mood, the set up could not have worked better. The competition was even more intriguing, as world class athletes did flips off the high jump in an attempt to win the title of “Air & Style Champion.” At the beginning of Day 1, I enlisted the help of my close friend/snowboarding enthusiast in order to gain a better perspective of the live-action ahead. In order to secure a position in the Semi-finals, the snowboarders played it safe, minimizing the complexity of their runs. On Day 2, however, riders focused on obtaining a high, final average. Max Parrot, a consistent winner in Big Air, received the first place trophy. In second place was Seppe Smits, a surprising achievement seeing as he usually does not get to the podium. Third went to up newcomer Marcus Kleveland, who won the overall “Air & Style Champion” title. Although the live Big Air competition was an incredible addition to the festival’s dynamic, the schedules between the stages and the ramp directly coincided, making it difficult to enjoy both aspects of the event. With one of the most diverse lineups in its history, the third iteration of Air & Style LA had a set for every attendee. 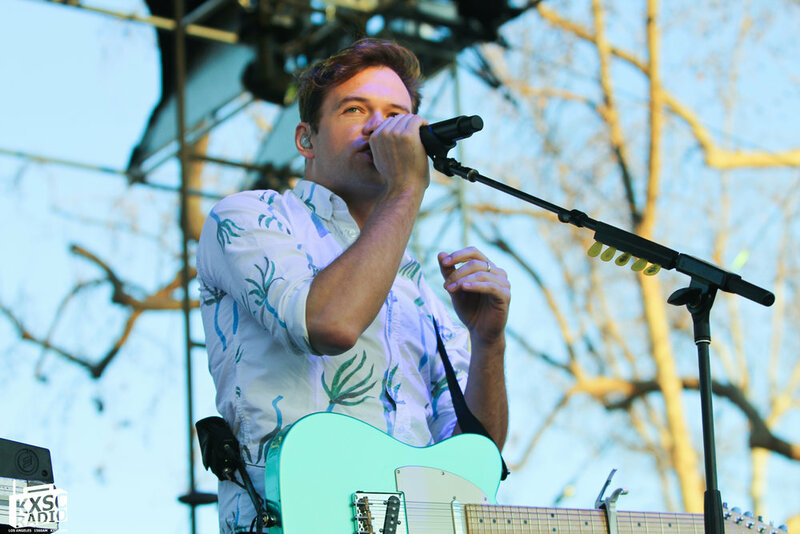 Exposition Park became the home to a dance party with headliners Flume and Major Lazer, not to mention Louis the Child and Chromeo, who drew mass crowds. Although there were some electronic heavy weights on the lineup, hip-hop had the largest draw with performances from YG, Vince Staples, Vic Mensa, Atmosphere, and Russ. Air & Style did not forget about local talent and included artists ranging from retro-rockers The Shelters to indie pop seducers, XYLO. The musical variety matched the creative spirit of the entire festival. Day 1 brought mostly electro-pop or hip-hop acts, excluding the headliner and biggest name on the lineup, Flume. 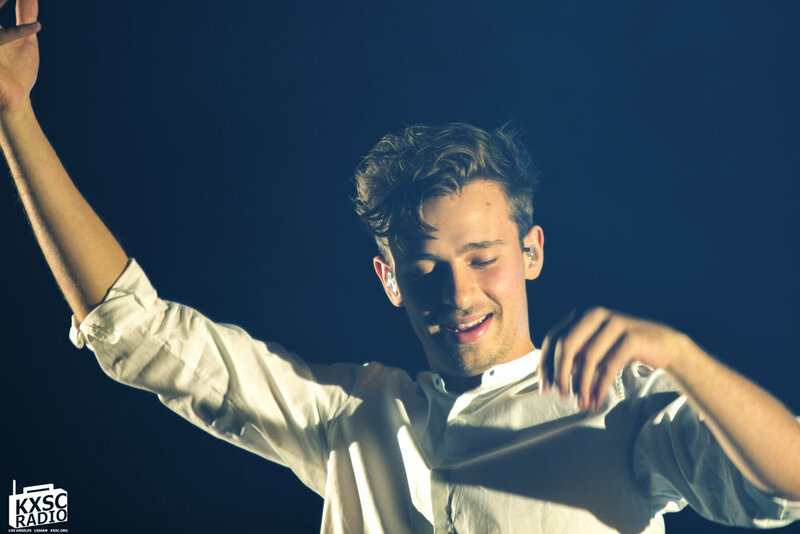 Is it even a surprise that Flume took the prize for the most incredible act? Due to the fact that it was my first time seeing Flume, I had extremely high expectations that were immediately met (and exceeded). Flume’s set began in complete darkness; only to be broken by an illuminated outline of the futuristic light cubes that took over the stage. As always, Flume drove attention away from himself, guiding it towards the melodic beats and mesmerizing visuals. Smoothly transitioning from song to song, the set flowed from classics like Flume's “Tennis Court” remix to hit singles from SKIN with remarkable fluidity. Although the entire set was breathtaking, the pinnacle of the performance came at the drop of “You & Me” (Disclosure Remix). Instead of his traditional visuals, the song’s music video was played in the background, mirroring the musical transitions and culminating into the incredible drop. Captivating and creatively brilliant, Flume proved once more why he is one of the greats. Day 2, instead, was more electronically focused. Starting off with acts like Marian Hill and XYLO, the stage was set for an amazing day of artists. Although Major Lazer was the headliner, the performance fell short in comparison to the previous act, ZHU. Primarily comprised of “bangers”, Major Lazer’s set did not include some of the best songs in their repertoire. On the other hand, in my opinion, ZHU was up there with Flume for best act of the festival. ZHU’s set was dark and alluring, a complete 180 from fellow SC alumni Louis the Child, which played upbeat house, comprising mostly of retro jazzy/soul house. During ZHU’s performance, the stage was set in complete darkness, excluding the classic illuminated “Z”, perfectly complementing ZHU’s sultry falsetto voice and tantalizing drops. In one of the most incredible moments of the weekend, ZHU dropped his “Bad & Boujee” remix track to the surprise of the entire music world. ZHU slowed down Migos’ vocals and added a subtle drop, the remix stands out amongst other remixes that have surfaced, driving the crowd wild. In my life, I have never seen that kind of reaction during a festival. 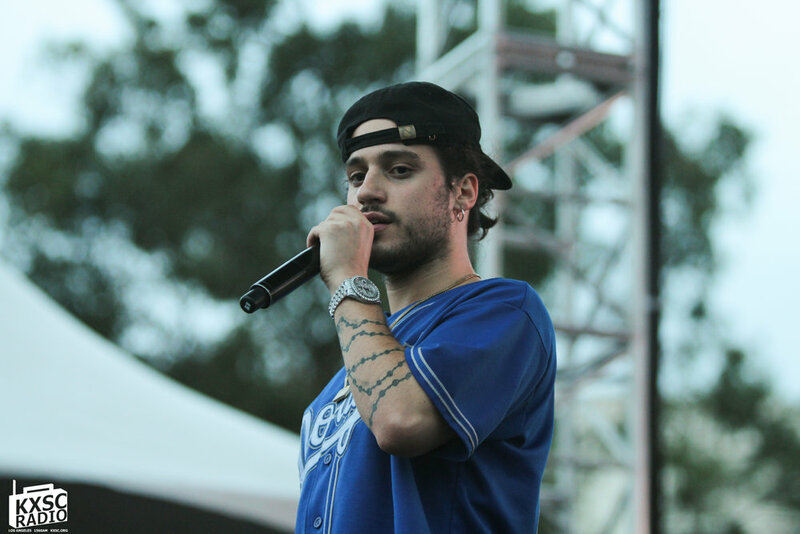 Although his tracks have proven his musical genius, this rain-soaked performance elevated him into the big leagues. Overall, Air & Style was extremely worthwhile. With an array of incredible artists, world-class live action sports, and well-organized set up, the festival exceeded my expectations. Although there were some small logistics that could have been better, such as the lack of water stations throughout the event and overly priced amenities, Shawn White brought an unforgettable time to Exposition Park. LET'S HAVE A LAUGH, MONDAYS 1 A.M. - 2 A.M.
Only in Los Angeles can the rain make an outdoors festival better. In New York, rain would ruin a show, but here in LA it’s almost like a special effect. The amount of times I heard, “Wow the rain looks so pretty with the lights!” made it seem like it was planned. I even caught myself saying that a few times- especially during TV on the Radio and ZHU. Besides the inclement-but-nice weather, I was only concerned about the venue. Having gone to FYF last semester, I was prepared for the worst. I couldn’t figure out FYF to save my life - having to walk around the entire Colosseum to get to a stage was quite frustrating. However, Air + Style set up Exposition Park perfectly. As proof to this claim, when I arrived on Saturday by myself I found my friends almost immediately. This would’ve been considered a festival miracle anywhere else. I made it just in time for Chromeo, which was fun and the whole crowd was dancing along. At Flume the crowd was also respectful but energetic, which I really appreciated. Nothing is worse than a “bad vibes” crowd and luckily Air + Style didn’t have that problem. On Sunday I arrived much earlier and was able to check out some of the snow sports. It was awesome watching people launch themselves off of a 16-story ski jump. Some of my friends even got to go down the slope to prepare it for the pros. TV on the Radio started while we were watching and I was ECSTATIC. TV on the Radio has been my favorite band for years and I never had a chance to see them live. They absolutely lived up to my expectations and as I mentioned earlier, the rain really added to their show. Next up was Louis the Child at the Summer Stage. Because of the staggered line-up, attendees were able to see every act. The lack of conflicts was a huge plus, especially since my group of friends have a wide range of music tastes. For example, my friends that love YG were able to see him while I was able to grab a slice of pizza and wait for them at ZHU. Speaking of food, the options were great. My vegan friends even were able to find something to eat. Without a doubt, ZHU won the weekend. My friends and I were all in agreement that his set was the best of the weekend. His groovy deep house tracks brought out the funkiest of dance moves and we all left the Summer stage exhausted. Next up was Major Lazer, a group I’ve seen close to a dozen times. As I called in my pre-show coverage, Major Lazer brought a smile to everyone’s face. Their high energy tunes reminded me of Dance Dance Revolution. When we were leaving, the merchandise booth was doing a 2 for 1 sale and I couldn’t help but get two sweet hoodies. Thanks Air + Style! On the way out we were greeted by a sea of hot dog vendors - a scene that looked straight out of a movie. People were running with trays, stands, and coolers, all shouting “HOT DOG” while I tried to navigate the sudden maze of people. Apparently drunk festival goers make great costumers. My friends and I shouted “Hot Dogs!! !” the whole way home. Although a bit strange, it was a memorable ending to a great start of the festival season. New Adds: Sampha, Jonwayne, Mr. Elevator and more!